5000km+, 14 days, 5 states, 2kg of red frogs, 48 cans of redbull and 3 photographers, that was the Kidney Kar Rally for 2015. We are back, back again, after a year away the powers that be decided they missed us to much, they pulled many strings and we are back in to the KKR family, to all that helped, thank you, we had an amazing time. The Rally began in Alice Springs, Matt and I decided to fly in a few days early and do a bit of exploring, Alan (we use his 4WD) drove the truck from his home in Bathurst and arrived a day before the rally started. I will do a separate entry on our outback adventures, so back to KKR. Like I said 5000+ km which included the rally and getting home, Alice Springs > Mount Dare > Coober Pedy > Wilpena Pound > Broken Hill > Mildura > Ouyen > Moama > Sydney, a crazy route on some amazing roads and not so amazing roads, that’s KKR. Every few years the KKR runs an epic trip, well more epic than normal, a few years ago we traveled from Mandurah (WA) to Bendigo via The Nullarbor & a few years prior to that Launceston (TAS) to Muswellbrook via Bass Strait, so we knew it was going to be a long one, and epic and we were traveling to a number of places we had been to before, one place in particular, The Flinders Ranges, twice now we have tried to visit the ranges and both times we haven’t been able to due to the weather, fingers crossed this year we wouldn’t have any dramas. Alan always adds the little flags, we do think we are in a real rally team at times ;). 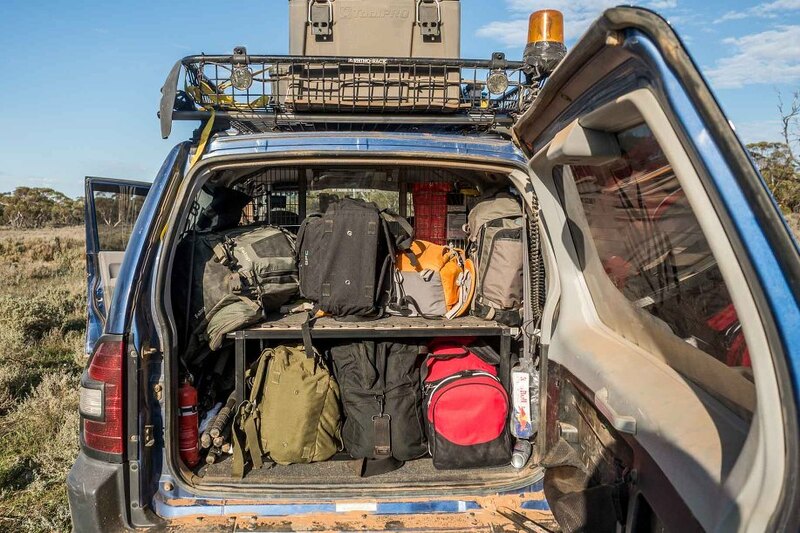 All our gear, well some of it, two pelican cases were on the roof and two on the back seat, top level in the boot was our camera gear, bottom our clothing, like I said on the back seat we had two pelican cases as well, one had our laptops and the other held 6 of our cameras, after 8 years we have a really great system in place to maximise space and a way to store our cameras so they are not damaged and are easy to access at any moment. 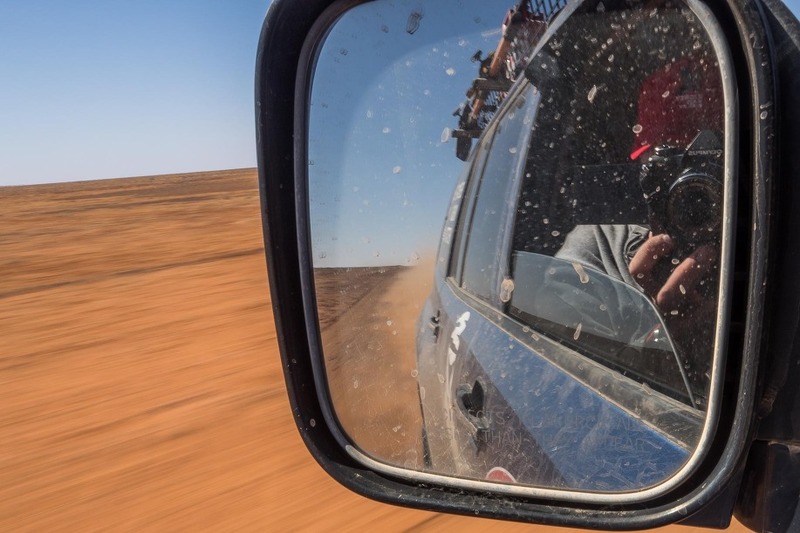 Somewhere in the middle of somewhere on the way to Coober Pedy. So this is George, George is a crazy Irishmen who we have become good friends with, a real prankster, a real character, much like so many of the people on KKR. During the rally Alan drives, Matt sleeps in the back and I navigate, this is just a sample of a page from our Bible, the RoadBook, I often need to make changes on the go, its a high pressure job but I am always up for the task :P.
This was literally in the middle of Australia, a lunch stop at an intersection right in the middle of this amazing country. I finally got the drone to work, it worked here twice then again once then never worked again on the entire trip, not happy. Dalhousie Springs, what an amazing part of the world, a warm hot spring in the middle of knowhere. A little bit of dirt after just 30km of driving, crazy roads. One of the best experiences of my life, we camped under the stars at the Mount Dare Hotel campgrounds, under the stars in a swag, I don’t think you could get any more Australian, an amazing feeling waking up in the middle of the night opening the swag window and only seeing stars. Now we are in the Middle Eastern Desert 😉 well it certainly felt like it, an abandoned homestead since 1925, we only had 10min here I wish we had more, the Dalhousie Homestead, just outside of the Dalhousie Springs was built in the late 1800’s as a base for the Overland Telegraph Line construction team. Oodnadatta, the famous Oodnadatta track is an unsealed 620 km outback road between Marree and Marla in South Australia. Hi my name is Ned Kelly aka Matt Mead :). The sunset at the Breakaways lookout just outside of Coober Pedy, one of the most amazing experiences of my life, if you ever get a chance to visit this area of the country make sure you spend some time at the Breakaways,. We were lucky enough to be given a private tour of the Comfort Inn in Coober Pedy where we were given access to crazy private tunnels under the Hotel, the efforts people went through to try and find Opals, crazy. This was part of an abandoned Train station just before Lake Eyre. We finally made it into the Flinders Ranges and it did not disappoint, we started in a dry river bed then it felt like we were driving through the Canadian Rockies, yet another place I need to revisit. The view of Mount Dare from above. Finally a typical end of day with our editing stations. 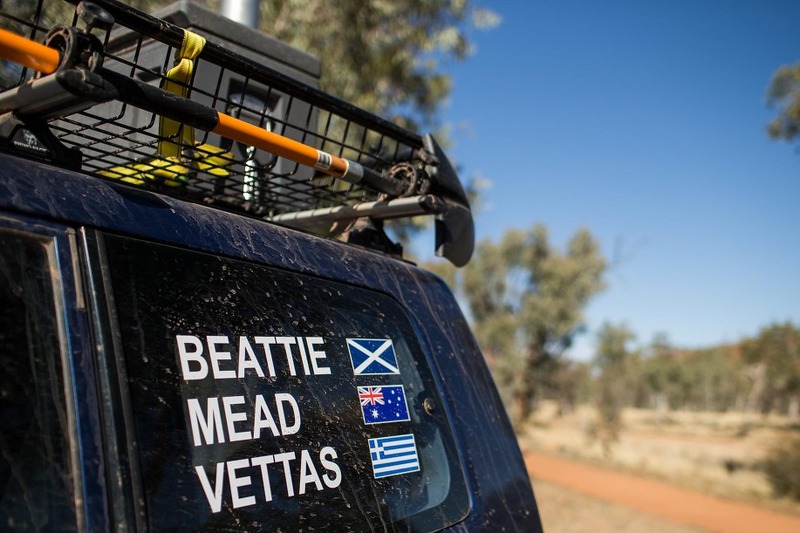 The Rally ended in Moama, Alan, Matt and I stayed on for 3 days so we could finish the books. The 2015 KKR was a truly memorable experience, I never gave much thought to the Australian Outback but now I cannot wait to go back, so many of us are so quick to jump on a plane and travel overseas when our own backyard has some of the most breathtaking scenery on the planet. If you want to see some of the action photos the 3 of us took click here. Don’t forget to check out my social media pages, and if you need to contact me don’t be shy.